Tell us your top gardening tip and our favourite will win an annual subscription to Gardener’s World Magazine! Tell us your top gardening tip and our favourite will win an annual subscription to Gardeners' World Magazine! Do you know the secret to getting rid of slugs? Or how to improve your soil? Or maybe you’ve got some great advice on how to help the bees and butterflies thrive in your garden. Tell us your top gardening tip and you could win a year’s subscription to Gardeners' World Magazine. To enter our competition, simply tell us your top tip via the online form below by Wednesday 28th February 2018. Our favourite entry will win the annual subscription - good luck! Terms and conditions apply*. 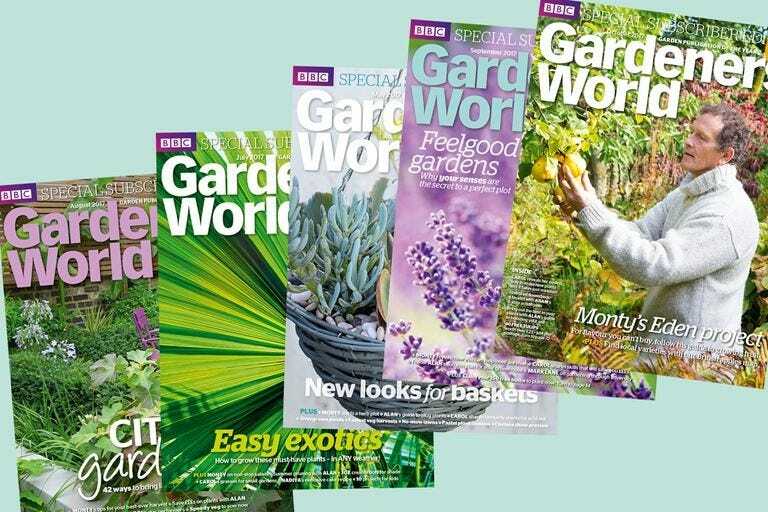 To be in with the chance of winning an annual subscription to Gardeners' World Magazine, simply complete our competition form above by 11.59pm on Wednesday 28th February 2018. A winner will be picked at random from the entries. The winner will be contacted by email. Prize cannot be exchanged for a cash alternative. We reserve the right to withdraw this competition at any time.